PALO ALTO, Calif. (CN) – Anxiety over the deforestation of tropical ecosystems typically revolves around the Amazon rainforest, but a new study by Stanford University researchers finds sub-Saharan Africa is the new frontier for the environmentally destructive practice. The rapid rise of agriculture in sub-Saharan Africa means the globe’s second largest rainforest loses about 325,000 acres in forested land per year due to the demand for commodity crops such as palm oil and soy, according to the Stanford study. However, industrial agriculture in the area is still relatively new, particularly when compared with South America and Southeast Asia, giving policymakers and companies the opportunity to craft plans that ensure a more careful approach to the inevitable expansion of crop production in Africa. Sub-Saharan Africa’s agricultural production has grown at the fastest rate – 2.4 percent – since 2015. While the increase in production is primarily a result of small- and medium-scale independent farmers, researchers believe the allure of cheap land and increasing demand for certain commodity crops make the introduction of industrial-scale operations inevitable. In some areas, large-scale operators are already getting in on the game, with industrial-sized companies buying nearly 22.5 million hectares of land in sub-Saharan Africa. This trend has already affected places like Brazil and Indonesia, which together account for 60 percent of the world’s deforestation. Agricultural expansion is the primary culprit behind those disappearing ecosystems. Companies are increasingly attracted to areas that present a combination of affordable land prices and relaxed regulations, which Ordway and others say make Africa ripe for development. “Production moves away from consumers in heavily regulated areas or where land becomes scarce, and toward regions with cheaper and more available land, cheaper labor and resources, and often areas with weaker institutions for environmental and natural resource management,” the study says. In Africa, 80 percent of the agricultural expansion since 1980 has occurred on land that is either intact or disturbed forest area, with Africa losing a forested area roughly the size of Iceland during that time span. Moving forward, the researchers say economic trends will only compound vanishing forests in Africa, with cropland estimated to expand 10 percent by 2025. Most of the land suitable for crops lies within the Congo Basin, which hosts 30 percent of the world’s forests and 25 percent of the world’s carbon stock – meaning destruction of the forest will significantly accelerate the increase of atmospheric carbon dioxide, the principal factor in climate change. The specter of deforestation, climate change and vanishing ecosystems hosting a variety of rare plants and animals prompted the authors of the study to call for a proactive approach from policymakers. 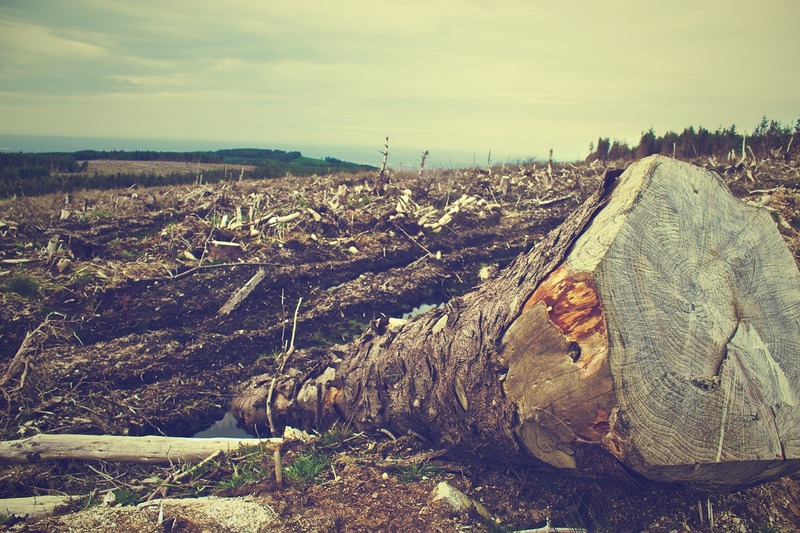 “Civil society, policymakers and private companies can benefit from many years of trial-and-error with anti-deforestation policies in South America and Southeast Asia to design more effective interventions in sub-Saharan Africa,” said co-author Eric Lambin. Lambin, Ordway and the other authors do present an unlikely solution with the potential to assist conservation: cocoa. Unlike palm oil and soy, cocoa grows better in shade, meaning farmers who grow the crop in Africa, which currently accounts for 70 percent of the world’s cocoa production, could simultaneously pursue their economic needs while maintaining forest cover. Another important tool is favoring the small- and medium- scale farmers over multinational corporations, the authors said, although such an approach may be pie in the sky. A multinational corporation bought a Costa Rica-sized plot of land in the Congo Basin, with the intent removing forests to make way for palm oil and soy crops. The researchers say they hope the study will provide a baseline and while giving an educational tool for companies and policymakers in the region attempting to grow their economy without destroying natural resources.